Palawan is truly a paradise. It should be in every wanderlust's bucket list. The islands, beaches and many scenic places are a sure feast in the senses. And should you feel hungry, there are a lot of restaurants and food hubs that you can visit. 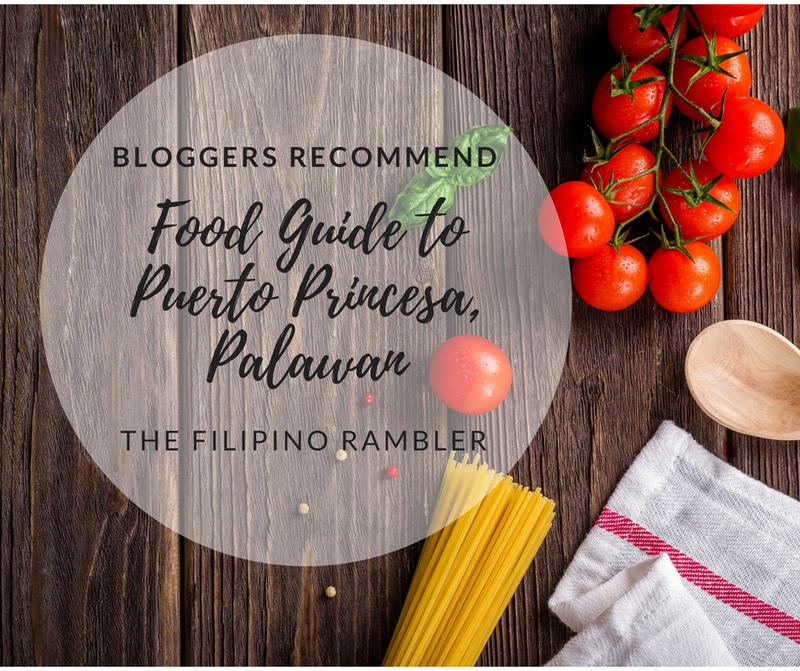 In this post, I give you a quick food guide to Puerto Princesa. I asked my co- bloggers about the best places to eat in PP and here's the list. On top of his list is Ka Joel's Inato Restaurant. 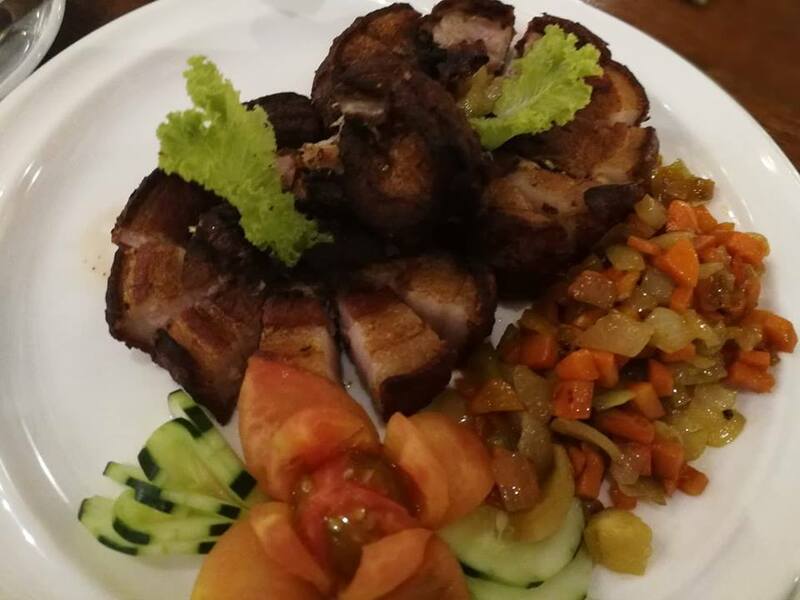 It is the latest food resto in Puerto Princesa City offering fusion food combine from the famous Ka Lui Resto and Ka Joel's Inato. This 120 seater resto offers a native ambiance in house dining supported by art paintings that will set your mood for perfect eating. Located in Abanico Road, they are open for lunch and dinner. Their Kare Kare, Lechon Kawi and Salmon meals are the best and never to be missed! 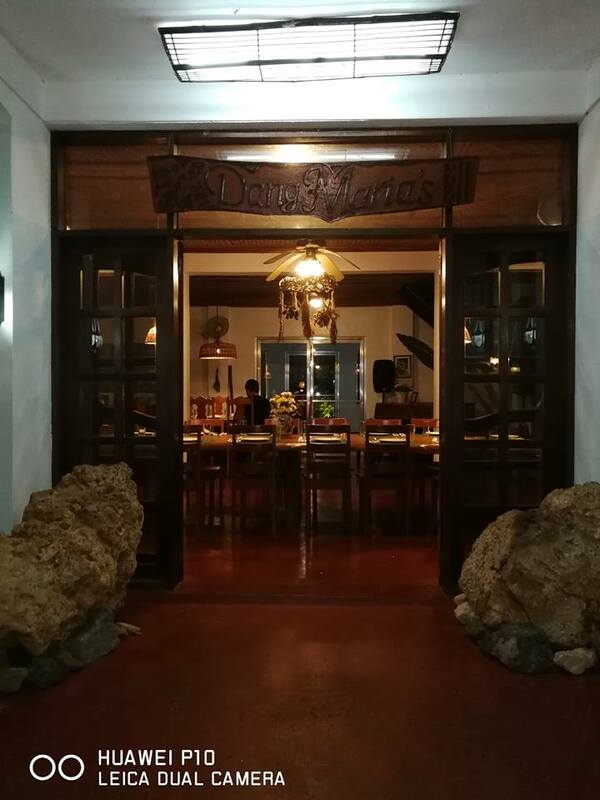 Dang Maria is one authentic food in the house resto in Puerto Princesa City. 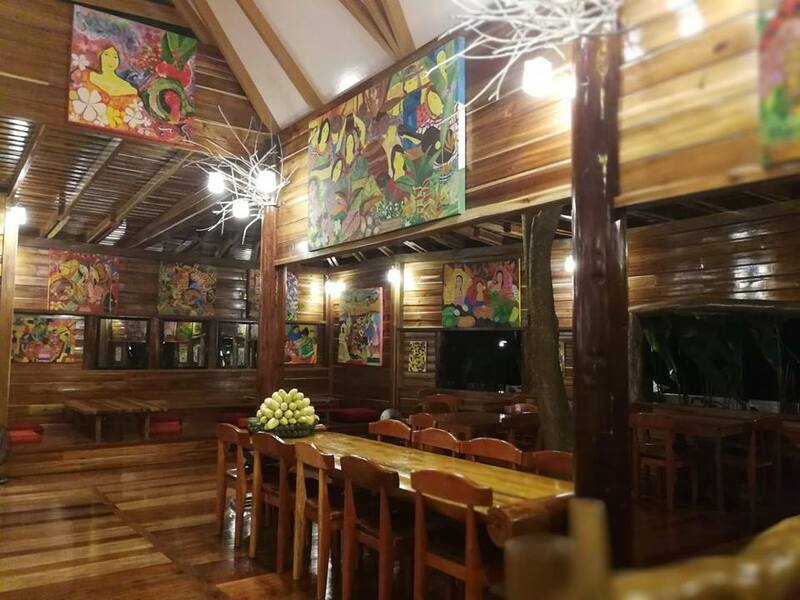 Run by one of notable family in Palawan, it is a house turn resto turn bed and breakfast place. Located in suburb outskirt venue, a home garden with lavish wooden furnitures complete with homey ambiance. Their specialty varies from western to Asian dishes mostly Filipino food. 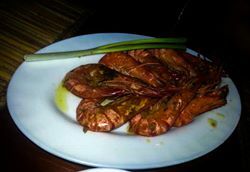 2 bloggers vouch for Ka Laui Restaurant as best place to eat in Puerto Princesa. For me, the top-of-mind restaurant in Puerto Princesa City is KaLui. The dim lighting and table set-up make KaLui a perfect venue for a romantic dinner date. 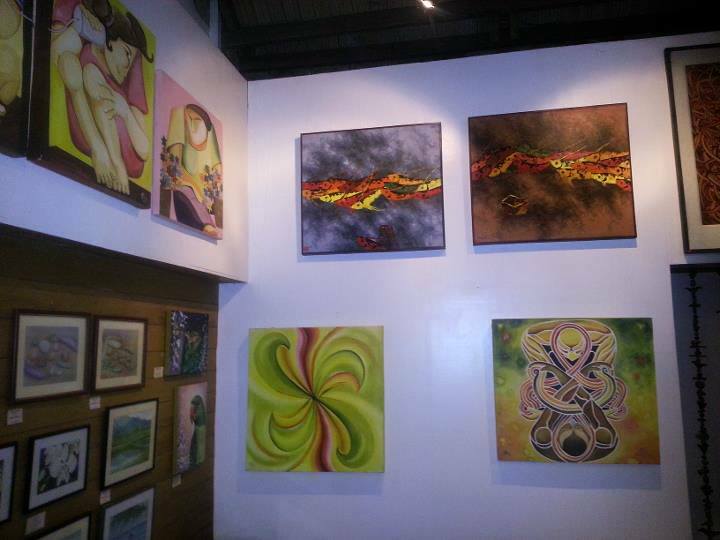 The place is decorated with various paintings, artwork and indigenous materials. KaLui also has a sort of mini art gallery at the far end of the restaurant. Another amazing thing is that KaLui’s restrooms are just like the hotel lounge restrooms with a native artistic twist! We ordered their bestseller, Tubbataha Salad. This is composed of fresh tuna strips, cashew nuts (which is aplenty in Palawan), lato seaweed, bits of fruits in season (this time, ripe mangoes, pomelo, papaya) in Palawan dressing (sweet vinegar-lime). We all liked it. We also got Choice Catch Fish Cordon Bleu meal. It is served with veggies of the day, lato and rice. The KaLui Veggie Plate meanwhile, consists of vegetables in season. 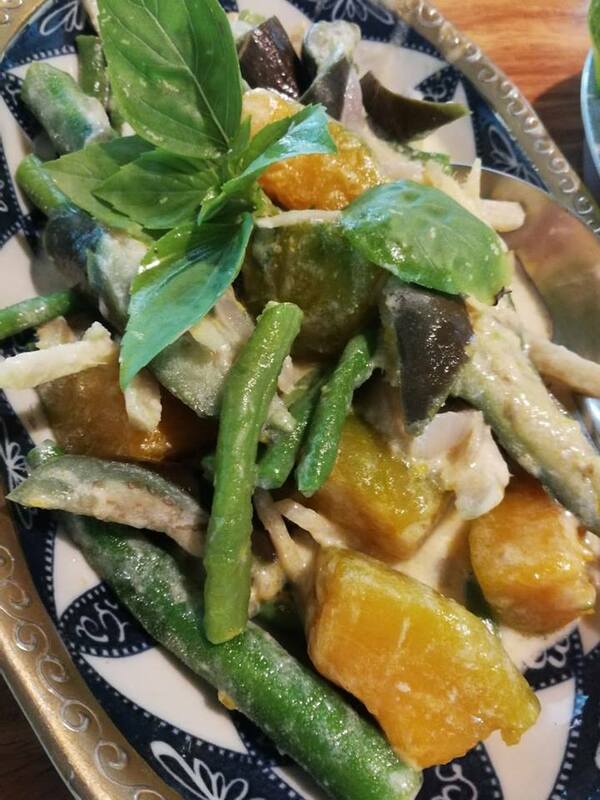 It had okra, squash, string beans with lato , fried bananas, and mashed sweet potato. 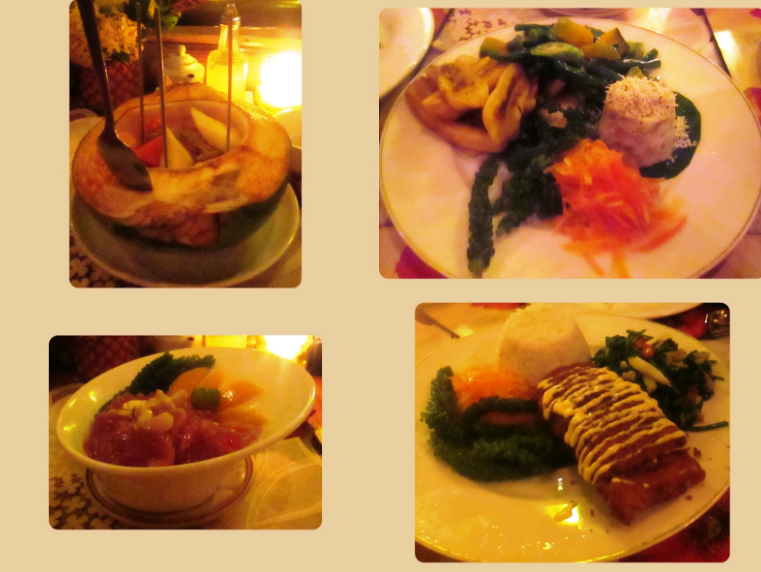 I’m not a veggie-eater but I loved the fried saba and the mashed kamote (better than mashed potato!). Flashback to my very first night in Palawan, I can still recall the warm ambiance Kalui illuminated from its well polished patio (where guests are required to take off their footwear), wooden interiors, superb customer service to exquisite dishes that cater to the palate. My friends asked for the "KaLui Special of the Day Set" but the buttered shrimp is the one dish that stood out which, thank goodness, I ordered from the Side Dish list. I am a sucker, for buttered shrimps--the shrimps were seasoned and cooked to perfection, it melted in my mouth! Maria Rona Beltran of Travel With Maria is all for Tiya Esing's Restaurant. My favorites are kare-kare, crispy pata, sisig, lechon kawali and boneless bangus. I have to admit I ate more cups of rice that I usually can that day! Their 'sinampalukang manok' and the fruit of banana tree's called 'puso ng saging' with coconut milk is super great. I'm pretty sure that they put some secret ingredients on it that it tasted so good compared to the original taste. Kat Austria, the 20 - something owner said that 'Tiya Ising' is the name of her grandmom's sister to whom this restaurant. Yours truly, The Filipino Rambler, recommends InThai Restaurant. Pad thai lovers will surely find this a haven- theirs is really flavorful! InThai Restaurant started only in 2016 but has since been getting a good number of following. The whole place can accommodate as much as 60 pax and is open from 4pm-10pm daily except Tuesdays. Have a hankering for Thai cuisine during lunch? Fret not because they do food delivery. The owners revealed that InThai is a play of words. 'Intay' or 'Hintay' is a Tagalog word for 'wait' or 'to wait'. One wait for good food. Aside from Pad Thai, their best sellers include Chicken wrapped in Pandan, Tom Yum Seafood and Thai Beef Salad. 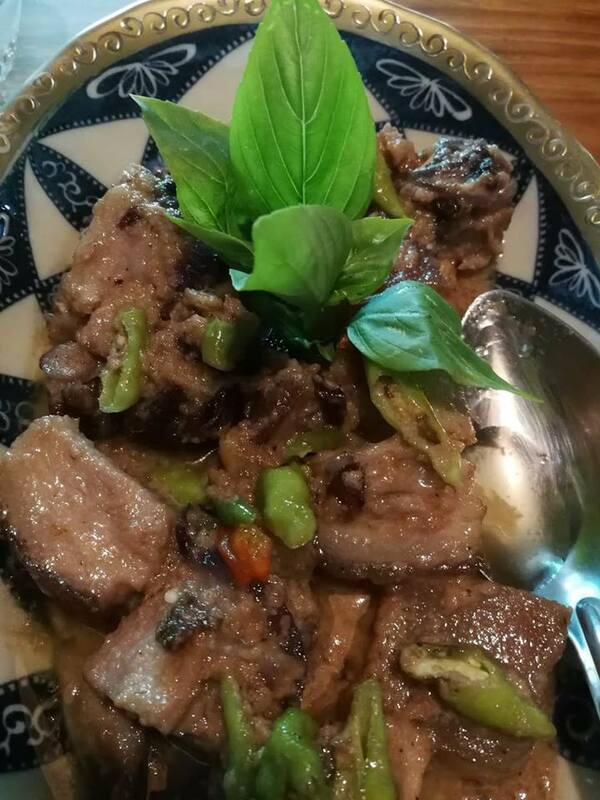 They also serve Filipino dishes so those who want to satisfy their Pinoy tongue can also order 'sinigang', 'sisig', 'sinuglaw' and fish 'kinilaw'. Finish your InThai experience with the heavenly delicious dessert 'Tako' and the Cha Yen Milk Tea. Have you been to Puerto Princesa, Palawan? 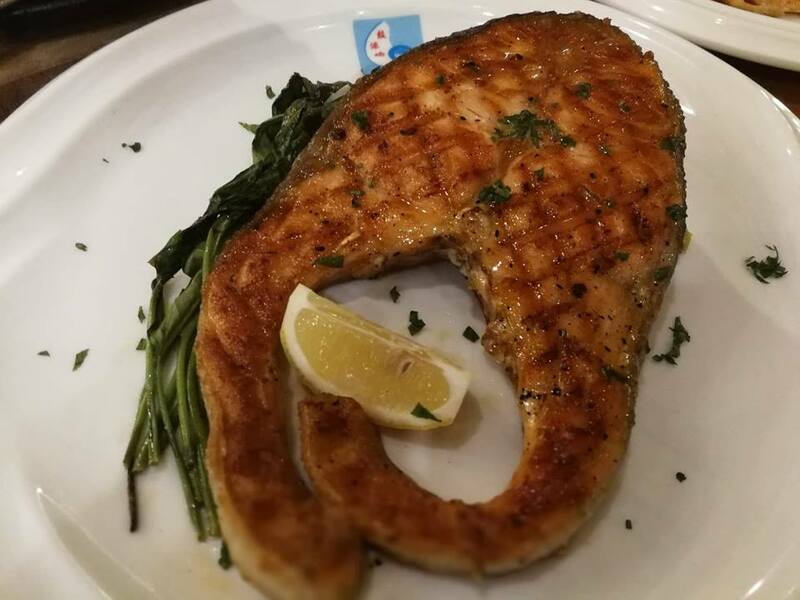 What's your go-to food place there?